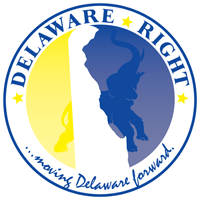 This post is a call to action for Delaware legislators in general, and Sussex County legislators specifically. This is to address the ongoing problem at the Indian River Inlet Bridge. I find it hard to believe that anyone living in Delaware doesn’t know the recent history of the bridge that now crosses the Indian River Inlet. The current bridge is actually the fifth bridge to span the inlet. The first three were built in 1934, 1938 and 1952, the fourth bridge was built in 1965 which was replaced by the current bridge when it was opened in January of 2012. The original plan to replace the previous bridge was to have been an arch bridge, that would have been the longest in the world. However that plan, due to poor planning and management was projected to go over the original budget off $200 million, by $50 million. This was before any real construction had begun. The arch bridge never got any further than the approach ramps on either side of the inlet, and then only to the point of piling up massive amounts of rocks and dirt. It was at this point that the pile of dirt known as the south side approach ramp began to settle unevenly and it was determined that the foundation was completely unstable and would not support the weight needed to finish the bridge. This was in 2004, when it was decided to completely abandon the arch design, meaning that all of the prep work up until this point was completely wasted. It has been estimated that the cost of this wasted work was somewhere around $20 million. The citizens still have never gotten a satisfactory answer as to who dropped the ball on this complete failure of planning and design, and the tax payers are the ones to pay the bill. In 2008 the current bridge was put out for bid for a design- build project and was awarded to Skanska, a multi national construction and development company based in Sweden. Construction began in 2008 with a final cost of $150 million. So that brings us up to date on the history of the bridges over the Indian River Inlet, but it really has little to do with this post, other than to point out that, with the start and stop of the 2004 bridge that never was, of $20 million, and the final bridge at a cost of $150 million, for a total of $170 million, that we the tax payers of Delaware have paid quite the cost to keep the north/ south passage of Rt. 1 open, and yet? And yet, we still have failed to maintain that passage. Rt. 1 is an official evacuation route for natural disasters and any other reason that large numbers of people must be moved north or south. Not to mention jus the day-to-day traffic that travels that route. The reason that this vital evacuation route is so unreliable is because, even though we have spent $170 millions dollars on the bridge, we have wasted unknown amounts of tax dollars on replacing the sand dunes on the north side of the bridge, that continue to washout every time we experience a storm of any significance. We have wasted state tax dollars, federal tax dollars, most likely county tax dollars, all in an attempt to replace and maintain the dunes that separate the Atlantic Ocean from Rt. 1. And what have we gotten for this unending expenditure of tax dollars? Not much! I believe that it is time that we recognize that the current strategy of the never-ending cycle of the ocean breaching the dunes, then we replace the dunes, then the ocean again breaches the dunes, and we again replace the dunes. I believe it is time to build something more substantial, we need to build a sea wall in this area of the dunes that continues to washout. There are most likely several ways to do this, first of all we could have used the steel and concrete that was removed from the old bridge to build up the dunes, then we could have covered that with sand and beach grass. This was actually suggested and was ignored, and the steel and concrete have been removed, to be recycled. One might ask, wouldn’t using the material for the dunes, also have been a form of recycling? But honestly, in my opinion this would have been only a slightly better way to re-enforce the dunes and to protect Rt. 1. I don’t really think it would have lasted much longer than plain sand. I am no engineer, but most likely the sand would have washed away from the building material, only to once again need to be replaced, again costing tax payers more tax dollars. In my opinion we need a more permanent solution. I envision something along the lines of a sea wall constructed along the fairly short distance of dunes that continually washout. This is not hard to figure out since it is the same short section of the dunes that washout every time we have a storm of any significance. Again, I am not an engineer, but I would think we could start by driving long steel re-enforced concrete pylons as a foundation and an anchoring system. Much like the pylons that were used at the new Rudder Town project. On top of this we could then build a concrete wall high enough to protect the dunes on the side between the wall and Rt. 1, and to keep the ocean from completely breeching. Of course there would be a cost to doing this, but it would be a one time cost as opposed to the on going cost of constantly replacing the dunes as we do now. It makes no sense to continue to throw good money after bad. It makes no sense to spend $150 million +, to build a show piece bridge that becomes useless every time there is a storm. Which brings me to the title of this post. Every time the ocean breaches the dunes, the spokesman for Del DOT, Jim Westoff, makes the announcement that Rt.1 is closed due to the fact that the ocean has once again broken through the dunes, but “the bridge is fine”. So we replaced a failing bridge so that we could maintain the vitally important evacuation route, only to have the route shut down, due to the fact that we chose to protect it with what one might see as being more nature friendly options, rather than doing what is needed to actually protect it. As we discuss the budget once again, one can only imagine what pet projects will receive funding, such as needle programs. One need not wonder whether there will once again be funding for beach replenishment, surely there will be. Of course we will again seek federal funding for beach replenishment. So I call on our elected officials to actually take action that would, in the end save the tax payers money. I call on them to seek a solution to this ongoing problem, so that when Jim Westoff come on the air to tell us that the “bridge is fine”, that he can also tell us that the dunes are intact and Rt. 1 is open. 3 Comments on "The Bridge Is Fine"
While I agree that the money wasted in this folly is criminal to the tax payers, I dis agree with your plan. It would only be a stop gap measure that would eventually fail. The sea is relentless, and the long shore current/ errosion never stops. It is mother natures way of reminding us how frail we reallly are. You can not stop her, only slow her down. What is going to happen is that at some point we will have equipment stationed along the route permanantly like the road to Hatteras Island and people will be warned during impending storms of the limited time you have to evacuate prior to that routes closeing. That is the reality all coastal dwellers must face. WP, while I do agree that we will never completely win the war against mother nature, I do think that we can win this one battle. This is not miles and miles of ocean front highway like Hatteras, we are talking about the same 1/2 mile of dunes that washout every time in the same place. There are many ocean walls that work and survive up and down coast lines around the world. Maybe my specific idea is not the answer, but we can do better than the constant cycle of replenishment and erosion .